In 2015 Rachael Louise Bailey discovered an alien material littering the beach. 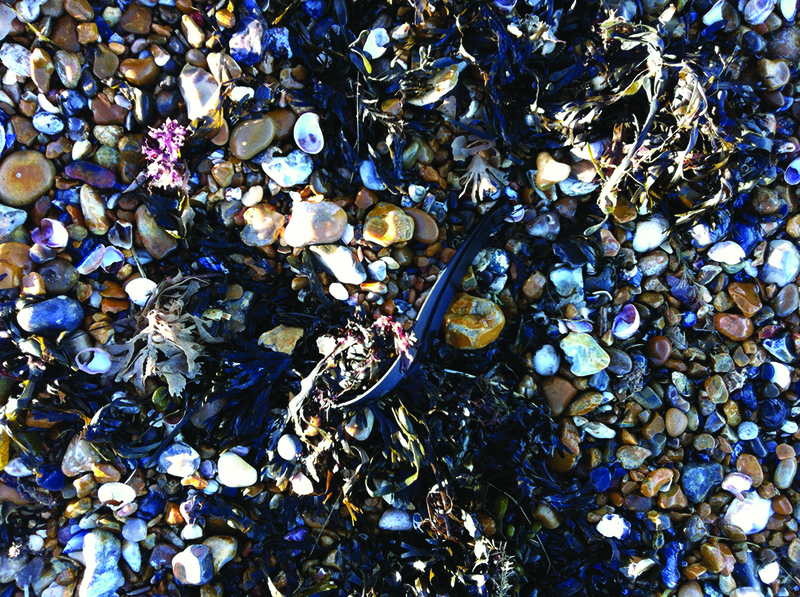 Often wrapped up and camouflaged by native black seaweed, broken fragments of black plastic lay inert along the shoreline. Intrigued and perplexed by this plastic consistently regurgitated by the sea, she traced its origin to our local industrial oyster beds. Walking and collecting strand by strand at regular intervals, she has collated over 7km of ‘The Black Stuff’ in the last 2 years; obsessively sorting, knotting and experimenting, a body of sculptural works have been created in response.